The numbers show that email marketing is still a widely used, and successful, marketing channel. 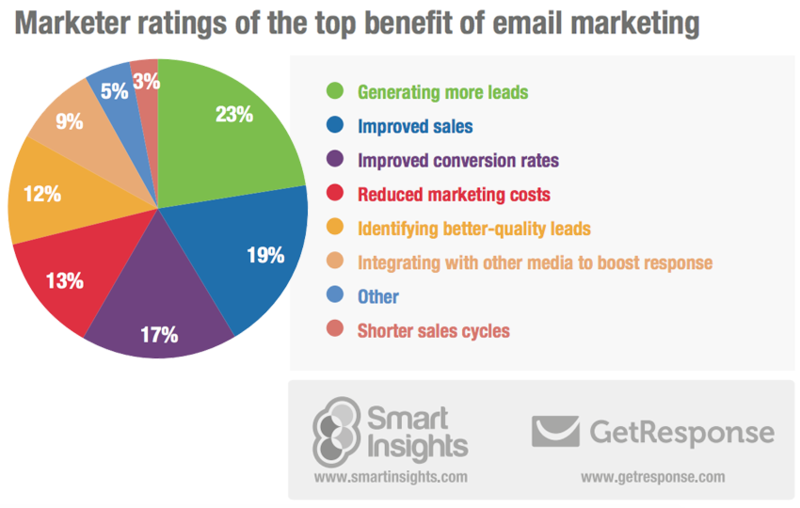 The chart illustrates the seven top benefits of email marketing (ignoring “Other”), each of which is a worthy goal depending on what your small business is aiming to achieve. Encouraging visitors to sign up for your email marketing list is just one way to generate more leads. Another strategy is to encourage your email subscribers to forward your emails on to friends, families, and acquaintances or to share it on social media. If every subscriber on your list turned into a customer, you’d be in small business heaven. Unfortunately, that’s probably never going to happen. However, you can increase your sales by focusing the right email campaigns on the right people. The secret to doing this is email list segmentation, a process that enables you to nurture each of your list subscribers with the right message at the right time, eventually moving each through your funnel to becoming a customer. In order to sell, you need to convert and the key to email conversions is to nurture them using content. Like #2 above, the key lies in email list segmentation however, it helps to know what type of content to use at each stage of the sales process. Once you nail that, your nurturing efforts will be much more effective and, your overall conversion rates will increase. If your small business marketing budget is tight, you’ll be interested in low-cost ways to promote yourself. 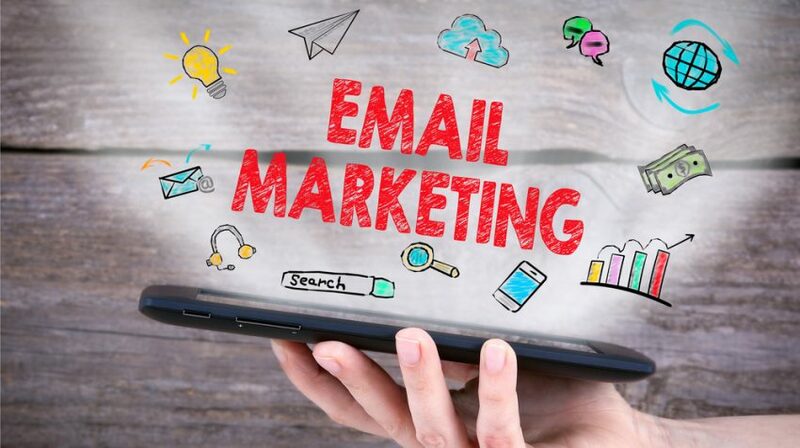 Happily, there are a lot of email marketing tools out, many of which offer a free tier of service and low prices when you need more features and functionality. If they click on any of the links within your emails. Deals to share which then give a referral reward back to the subscriber who shared it. Email marketing is a great way to get your most convincing content in front of prospective decision makers. If you’re nurturing the right subscribers via email as mentioned in No. 5 above, and you’re using both segmentation and the right content as mentioned in No. 2 and No. 3 above respectively, then you can speed up your sales cycle by getting the right content to the right decision maker at the right time.